Home > Avoid scams > Smackdown Profits review – Is it a scam? 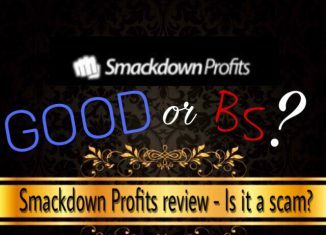 Today I found out about a brand new product called Smackdown Profits so I wanted to check it out to see what it’s all about and write a review to inform you about it so you end up making the right choice. Basically I’ll explain what Smachdown Profits is about, what it’s included, what I like and don’t like about it, and whether it can benefit you or not. 2 What is Smackdown Profits about? 3 What does Smackdown Profits include? 5 Is Smackdown Profits a scam? What is Smackdown Profits about? 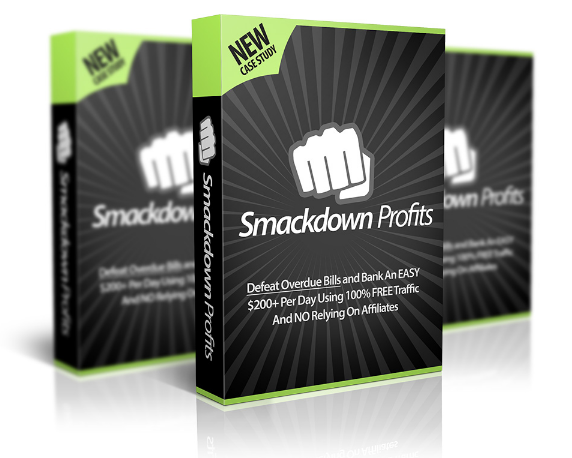 According to Manny, the Smackdown Profits creator, this brand new product is supposed to teach you an easy-to-implement strategy that will enable you to make between $100 and $200 per day. He claims that no one else is using this method they’ll teach you, and that it has nothing to do with list building, paid traffic, SEO, recruiting affiliates and you don’t need any prior experience or any tech skills. This is supposed to be a lot easier than those methods, it will only take you 20 minutes to set it up and you can “rinse and repeat” this as many times as you want. According to him, this is perfect for beginners, people who are struggling and want the easiest way to generate an online income and people who simply want to grow their followers. He doesn’t exactly explain what you’ll be doing to make money, but after doing some research, I found out that they’ll basically teach you to promote affiliate offers on social networks like Facebook and Instagram. What does Smackdown Profits include? Full overview of the $100+ per day method. Video course of the core steps needed to take to hit the $100 per day mark. Step-by-step PDF guide to help you stay on track. “Done-for-you” tools to make the process so much easier. Bonus #1 – “Smackdown” traffic secrets. 10 untapped traffic methods to get traffic to your offers. Bonus #2 – Quick list building techniques. This one will show you how to build a list of subscribers to boost your profits. All this is affordable for everyone, it costs $8.45. They say that the price goes up with every sale, something I thought it was fake, but it’s true. The first time I checked the page the price was $8.27 and now it’s $8.45, so maybe it will have increased if I check the sales page later. However, I don’t think it will increase that much because they’ll be offering you additional products (upsells & downsells). 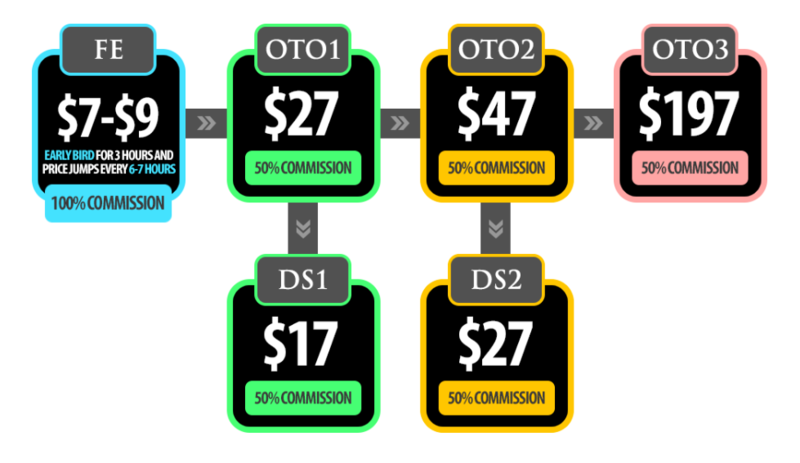 They’ll try to incite you to purchase these OTO (One Time Only) products by saying that you need them to take your profits to the next level. Upsell #1 – The Smackdown Suplex. Step-by-step training that will show you how Manny earned $100+ a day on Instagram. This way you can use both Facebook and Instagram to increase your profits. Price: $27. Upsell #2 – The $5K Smackdown. This is another step-by-step training about a case study where is explained how Manny closed a $5K deal. They say it’s so easy to do and that anyone can achieve the same by copying it. Price: $47. Upsell #3 – One on one coaching with Manny Hanif. Manny will guide you through the process so you start those $100 to $200+ daily profits. Price: $197. This products looks ok to me and there’s some stuff I like about it, but it has some cons as well. The training is easy to follow and understand. The creators of this program are real people (not fictional characters created by scammers). They offer a 30 money-back guarantee. The method they teach can make you money. You can get in touch with the guys behind this product via Facebook. The chance to earn up to 100% affiliate commissions. You can’t try it for free. It would be great to test this product without giving them your credit card information. Manny doesn’t reveal the information about the upsells & downsells in the main sales page. I believe it’s important to know about all the costs involved before making a purchase, so I find it’s kind of unethical not revealing the hidden costs in the main sales page. Lots of hype. They claim that this is a brand new method, but the truth is that this method has already been used for some years. They also show lots of snapshots about their earnings, which I find it’s kind of annoying. It’s good to show a couple proofs of earnings, but not too many. It’s not as easy as fast as they claim it to be. Earning money online is not that fast, it will require hard work, patience and persistence. You can make money with the method they teach you, but it won’t be within the next 24 hours. Is Smackdown Profits a scam? Smackdown Profits is not a scam because you’re actually getting something in exchange of your money, something that doesn’t happen in other scams in which you pay for nothing like Instant Cash App or Blazing Trader. You can purchase this product and see whether it’s right for you or not. In case you don’t like it, you can ask for a refund. However, I won’t be recommending it because their sales tactics don’t reasonate with me and it doesn’t live up to what they claim, since it’s very difficult to reach $100 per day in 24 hours, especially if you’re just starting out. Don’t get me wrong, it’s possible to make $100 per day or more, but it won’t happen overnight. Another reason why I don’t recommend it for people on a low budget or beginners is because you’ll need to buy the additional products (upsells & downsells) in order to hit the $100/day mark. If your goal is to earn a living online or more, then you should be thinking of building your own digital business instead of looking how to make a lot of money fast, since that’s something that’s not possible and anybody who tells you otherwise, is clearly trying to fool you. The first business model I recommend is affiliate marketing, since it’s sustainable for the long term, it enables you to earn residual income and it also lets you start for free. Choose a niche (this can be any of your passions or interests). Build a website (this can be done in less than 5 minutes, click here to see how). Attract visitors (this won’t happen overnight, you’ll first need to provide quality content). Earn revenue ($100+ and $200+ a day can be real if you do everything properly). All of the steps I’ve mentioned below can be learned in an online business platform called Wealthy Affiliate (free to join!). You won’t only get the proper training and tools, you’ll also receive help and support from the community members (included myself 🙂 ) and owners. I’m sure you won’t feel alone during the process as this community is very supportive! I hope this review has been of help and you make the right choice. Feel free to share it on social networks so more people can benefit from it. If you have any questions or opinions related to Smackdown Profits or Wealthy Affiliate, don’t hesitate to drop a comment below and I’ll be very glad to reply. Is American Consumer Eyes a scam? Yes, truthful review here! The Bitcoin Challenge review – Another cryptocurrency scam?